Jenifer was looking to make a splash at her daughter’s birthday pool party. 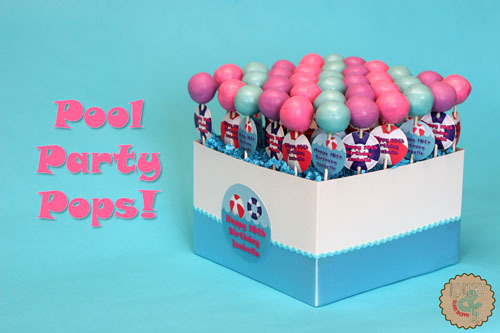 She wanted cake pops in her daughter’s favorite colors and custom designed tags to match the party’s theme. 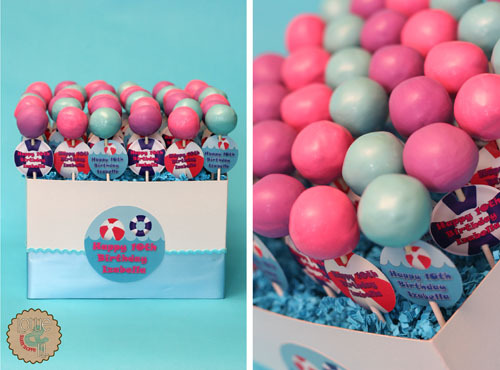 After an afternoon of doggy paddling and canonballs, these cake pops are the perfect poolside treat! This entry was posted on Monday, March 19th, 2012 at 8:07 am	and is filed under Birthday Pops, Recent Creations.